Physician scales are available with many different designs and features sought after by hospitals, clinics, or health clubs. Choose from digital waist high scales or eye-level scales. Some feature BMI and memory recall functions. 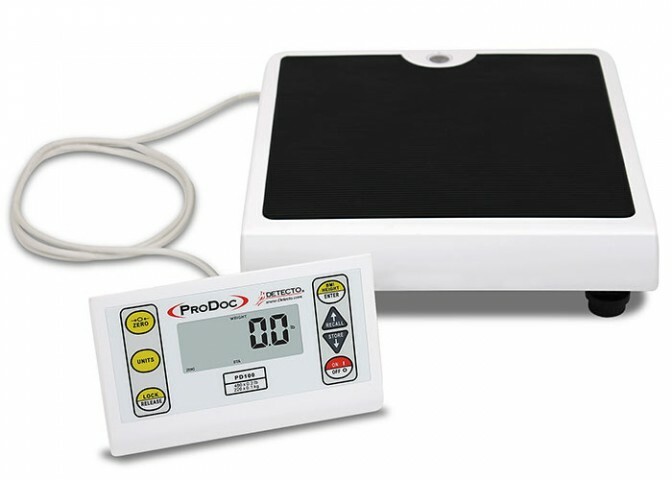 Whether you need a physician scale for the doctor’s office, or a fitness scale for the gym, we have plenty of digital and mechanical beam scales from name brands like Cardinal Detecto.